Shaft Height: Approx. 13'' Tall. Unique style and beauty pair together in the Laredo Lucretia boot. 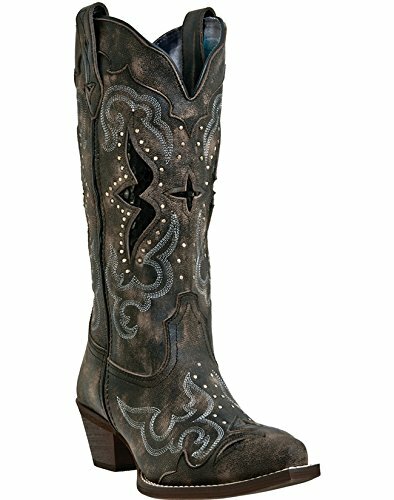 This women's cowboy boot goes long on style with its stitch-accented, crackled leather upper that boasts snake-print underlays and its angled, stable heel. Cushion insole. Snip toe. Composition outsole. Cowboy heel.